You're not going to believe this one. There's a college in Chicago that's giving out athletic scholarships for — wait for it — playing videogames. Is this a crazy idea...or is it actually quite brilliant? You can watch the video below and make up your own mind. 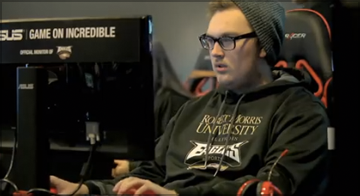 It's a news story from the BBC, who take a look at Robert Morris University, and profile the school's "League of Legends" team. According to the school's associate athletic director, Kurt Melcher, RMU plans to offer approximately 60 athletic scholarships to incoming League of Legends gamers. According to the university, the scholarship recipients can receive up to 50% of tuition and 50% of room and board — up to $19,000 in scholarship money. Melcher says League of Legends is a competitive, challenging game that requires significant amount of collaboration. It is a team sport that requires teamwork for it to be successful,” he says. “Mentally, it takes a lot of working together, knowing your role in the team and taking direction from a coach. We'd love to hear your thoughts in the comments section below. Would you like to see more colleges giving out athletic scholarships for playing video games?